Professional soccer player Damarcus Beasley, known for his left wing and left back position on field, has appeared in a total of 133 games over his career with 63 accumulated goals and several assists playing in international matches for the United States, as a captain in 2013 for the CONCACAF Gold Cup, and various clubs including Chicago Fire, PSV, Manchester City, Rangers, Hannover, Puebla and is currently signed by Houston Dynamo as a designated player. Beasley’s older brother, Jamar, is a member of the Syracuse Silver Knights and the United States national futsal team. He has also launched a jewelry collection in collaboration with The Diamond Studio, a Scottish jewelry suite. Damarcus Beasley was born on May 24, 1982 in Fort Wayne, Indiana. Before moving to Florida, to join the IMG academy he played at South Side High School for two years. Beasley also starred in the 1999 Under-17 World Cup in New Zealand where he was awarded with a silver ball. On May 16th 1999 Beasley signed with MLS and was primarily allocated to the Los Angeles Galaxy, however before making an appearance in LA Galaxy he made his debut in the Chicago Fire in February 2000 where he won hearts with flying colors scoring 14 goals and 20 assists over 5 seasons. Beasley also had the honor of being named in MLS’s Best XI in the year 2003. His term with the Chicago Fire ended on July 16, 2004 when a European team, the PSV Eindhoven agreed on a transfer fees of $2.5 million with the MLS. Later he signed a 4-year contract with PSV. PSV manager, Guus Hiddink, brought in Beasley as a replacement to Arjen Robben where he got the number 11 on his jersey. In his first season with the team he appeared in 29 games and scored 9 goals and helped them win their 18th league title. In 2005, during the Dutch Amstel Cup final Beasley helped PSV in beating Feyenoord through a penalty shootout by tying up the game in the final minute bagging their 18th league title. Soon, after transcending at domestic level, Beasley became the first American football player to play in the semifinal stages on the UEFA champions league against Milan, losing the first leg while winning the second leg by 3-1 but were eliminated based on the away goals rule. Despite the hard blow by the loss Beasley became an essential part of the team by leading his team with 4 goals in 12 UCL games. After a tough last season at PSV, after their 19th league win, Beasley joined the English team, Manchester City in 2006. He struggled with optimal performance due to his injury after being signed. He made his first goal for Manchester City in December against West Ham United and helped the team secure a win. Later netted 3 more goals during his time with Manchester City before returning to PSV again. In 2007 Rangers took the star player under their wing for £700000 ($1.011164 million) making Damarcus the second American player to play for the Rangers’ first team after Claudio Reyna. In August 2007 he made his debut for the rangers and won against Inverness Caledonian Thistle. He then scored a goal in a champions league qualifier round against FK Zeta making him the first American to score for two different clubs in the competition. Beasley contributed to his fullest to the club, helping them win the Scottish premier league title in 2008-09 being awarded a championship medal. Later he expressed his desire to move on from the club to be able to participate for the US national team for the 2010 world cup however he stayed to help the Rangers’ retain the Scottish Premier league title. The rangers won but Beasley wasn’t awarded with medal because he didn’t complete the 25% games requirement, he only made 8 appearances. He was then tossed around different clubs including Hannover, Puebla and is recently working with the Houston Dynamo. 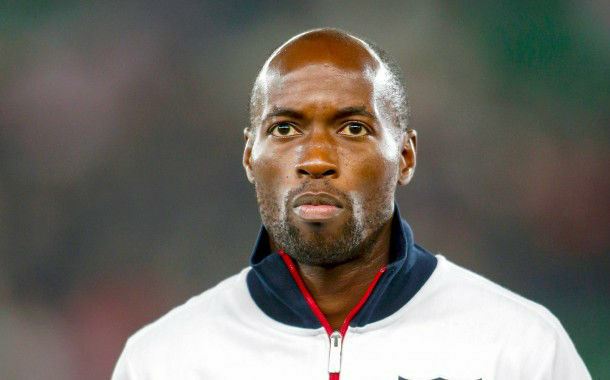 DaMarcus Beasley was the first American to appear in 4 FIFA world cups, first being 2002 and the latest 2014. He has been capped over 100 times for the United States. During his time in the team, USA earned 4 CONCACAF Gold Cups in years 2002, 2005, 2007, 2013. Beasley announced his retirement from the national team in December of 2014, although he did return for the 2015 CONCACAF Gold Cup again on special request of coach Jurger Klinsmann, making only one appearance against Panama.